The heat and humidity of a Japanese summer can sometimes feel like being in a sauna, and as temperatures reach 30 degrees and over, sweat often becomes a nuisance. To make matters worse, sweat usually comes with body odor, which can be embarrassing, not to mention unpleasant for people nearby. 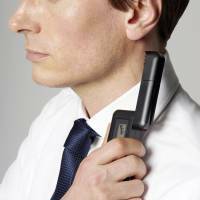 Health gadget manufacturer Tanita Corporation’s ES-100 is an odor analyzer designed to help its users decide if they need to reach for the deodorant or go less heavy on the perfume. The ES-100 measures the level of aroma with a semi-conductor gas sensor — similar to that of breathalyzers — that monitors the air for molecules that cause bad smells. 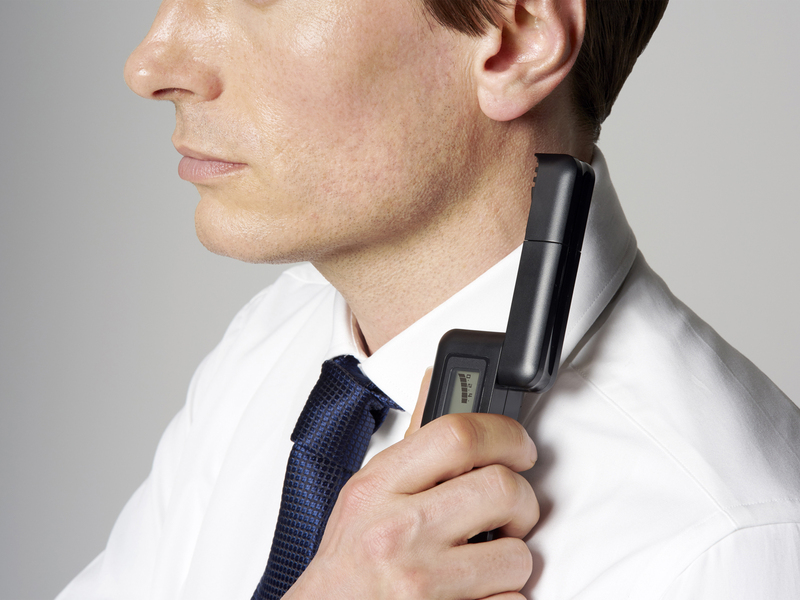 Just hold the device close to the usual culprits (armpits, neck, head) and wait 10 seconds and it will give a reading from zero to 10, indicating the level of odor in the area. Tanita says a five or above is a cause of concern, meaning 10 must be particularly whiffy. Tanita says that the ES-100 is aimed primarily at salarymen in their 40s, a demographic that seems particularly concerned about body odor, but it’s also useful for those who may be worried that they wear too much perfume or cologne. It’s a portable handheld device and priced at ¥13,824, while a spare semiconductor sensor cartridge (cartridges need to be replaced every 2,000 uses, or once a year) costs ¥5,378. Mahjong, developed in China during the Qing Dynasty (1644-1912), is now an internationally played game that is particularly popular in Japan. It’s said to help deepen friendships, teach strategy and hone logical thinking. Some even believe it’s a great way to train the mind and help prevent dementia. But such benefits come from the fact that the game can be complicated to play, involving many types of tiles, numerous combinations of winning hands and an array of elaborate scoring systems. Creative agency North Shore Inc. knows that inaccurately scoring a game can ruin it for players, so it has developed the Mahjong Camera, which can automatically add up the score of a hand in seconds. 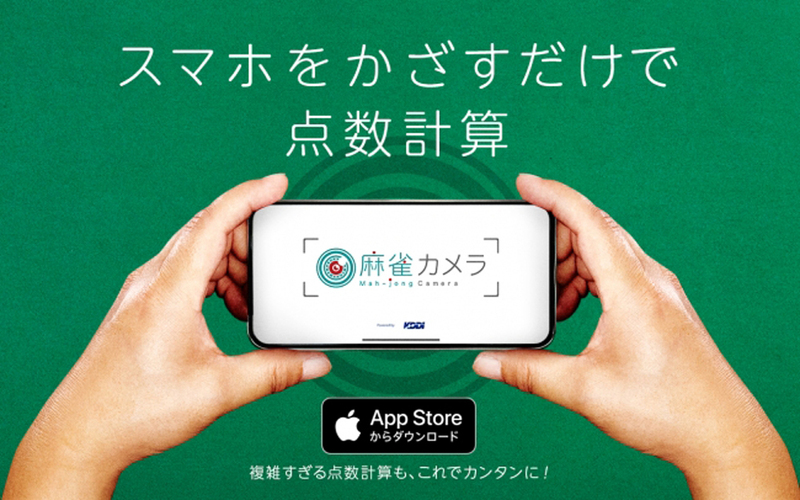 This iOS app is free, available for iPhones and iPads, and is simple to use: Just hold the camera over your tiles and it makes use of telecommunications company KDDI’s recognition technology to add up the score. For now, Mahjong Camera can only score tiles. However, there are plans to add a “suggestion” function, which will recommend tile-efficient ways to develop a hand, while ideas for mixed-reality experiences are in the pipeline. It’s the best season for relaxing by a river — whether picnicking, paddling or just enjoying the breeze. It’s also a great time for angling, and Japan’s fishing spots boast a wide variety of species. But what if you come across something you’ve never seen before? How do you identify it? A Google image search could work, but it isn’t particularly efficient or accurate. 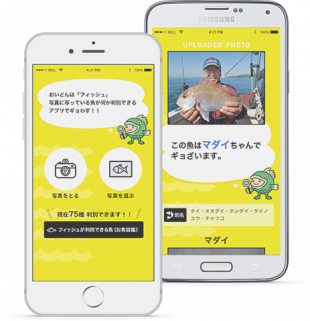 Software developer B.creation Inc., however, has created Fish, an app that uses artificial intelligence to help anglers and seafood enthusiasts know their catch, while using machine learning to improve its own accuracy in the process. Combined with crowdsourcing databases of information, AI is increasingly becoming useful to help people identify all kinds of creatures and plants. Fish currently lists 80 kinds of fish and has already collected, analyzed and learned from around 3 million tagged photos from users. 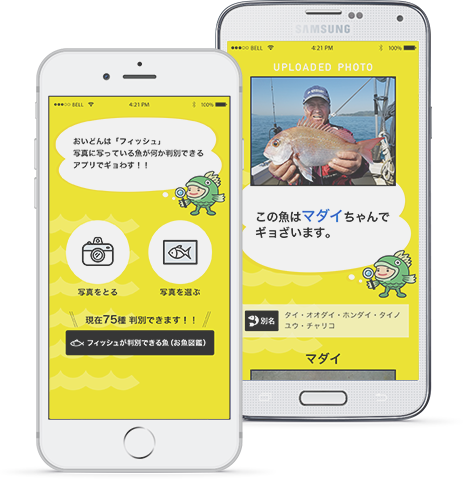 The app not only names the type of fish in a photo submitted, but it also gives information on its species (including a warning symbol if it’s poisonous), its characteristics and even recipes and instructions on how to cook it. It’s a free app aimed at anglers, but can just as easily be used by anyone at a fish market.